Take your first step into teaching! Hibernia College is a specialist in teacher education programmes offering a Professional Master of Education in both Primary and Post-Primary school teaching. The unique blended learning approach combines online content, virtual learning environments and face-to-face tuition to offer a more accessible route into teaching. The flexible nature of our primary and post primary teaching programmes allows you to choose when and where you study. There are two intakes per year with applications accepted on a rolling basis. It is not a requirement to have prior teaching experience to be eligible to apply. Experience and Reputation Since the first intake of primary education students in 2003, Hibernia College has grown and has proven experience and expertise in blended learning. Hibernia College is innovative in its approach to learning by offering 21st century learning solutions, a VLE and elibrary to ensure it is a truly engaging educational experience. In 2013, Hibernia College were crowned winners of the eLearning and Education Eircom Spiders award. Local and Accessible from anywhere in Ireland When studying with Hibernia College, there is no need to attend a physical campus full time. Which means there are less commuting costs. Students can live anywhere in Ireland to access the online elements of their course which gives them the best of both worlds (flexibility of online and contact at face-to-face lectures). You will choose your own local schools for teaching placements and will attend Saturday workshops at a regional location. 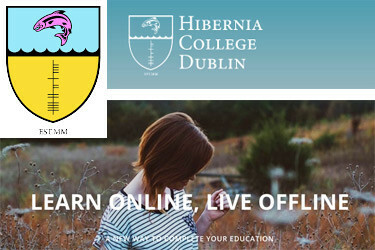 Hibernia College has developed a model of online education that is successful because it is dedicated to helping professionals meet their current work challenges and by continually building on the interactions of students and faculty. We educate professionals around the world who want access to the very best online education available.